PIQUA —- You could hardly blame Piqua freshman leftfielder Kenzi Anderson if she wanted the Indians to move their home field to Lower Mote Park. When Vandalia-Butler came to town Tuesday, the Piqua High School diamond wasn’t playable so the game was moved to Lower Mote Park. 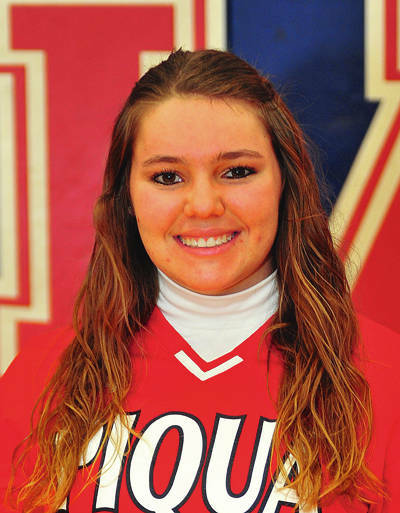 And all Anderson did was go 4-for-4 with two home runs, a walk-off two-run single in Piqua’s 13-12 win over the Aviators and drive in five runs. “One of the girls said we should play all our home games there,” Piqua coach Greg Campbell said with a laugh. 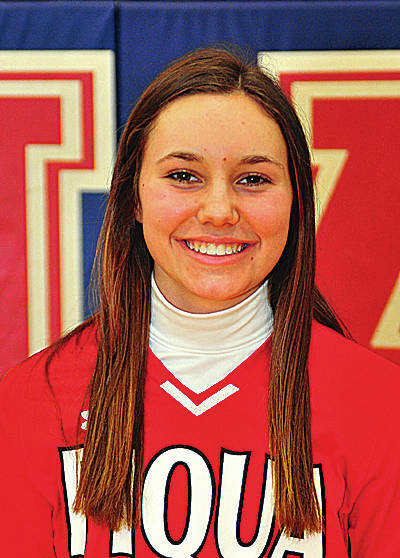 And after a single and two home runs, Anderson stepped to the plate with one out and the bases loaded in the home seventh with Piqua trailing 12-11. She drove the ball into the hole between shortstop and third base. It might have been a double, but Anderson was halfway between first and second when Mariah Blankenship crossed the plate with the winning run. “I did, I stopped between first and second to watch (and see if Mariah Blankenship scored),” Anderson said with a laugh. It was a big win for the Indians, now 3-2 overall and 1-1 in GWOC American play heading into Friday’s game with West Carrollton. Piqua had lost to Butler after leading much of the game Monday and it was more of the same Tuesday. Piqua had taken a 2-0 lead in the first. Hannah Anderson had doubled and Mariah Blankenship singled, with Kathy Young delivering a two-run single. After Butler, scored two runs in the second, Piqua answered with three to go up 5-2. Hannah Anderson had another double and Paige Hinkle had an RBI as well. After Butler had taken a 9-5, Kenzi Anderson crushed a ball to centerfield in the home fifth. Instead, she circled the bases to make it 9-6. Piqua found itself in a 12-6 hole going to the home sixth. After Hannah Anderson reached on an error, Blankenship had a RBI double and Kenzi Anderson followed with her second home run in two innings, this time to left-center field to make it 12-9. Blankenship kept Butler off the board in the top of the seventh, giving Piqua a chance. Jordaya Walker drew a one-out walk to start things. Kamy Trissell drilled a RBI double and Hannah Anderson followed with a RBI single to make it 12-11. After a single by Blankenship, Hinkle drew a walk to set the stage for Kenzi Anderson. “Paige (Hinkle) had a great at bat and drew a walk after fouling off several pitches,” Campbell said. Anderson wasn’t looking for a third straight home run, although it was on her mind. Hannah Anderson finished 3-for-4 with three RBIs, while Blankenship was 3-for-5 and Young was 2-for-4 with a triple and two RBIs. “I thought (it was a big win) because we were in control and then we had some defensive breakdowns that put us in a hole,” Campbell said. For Kenzi Anderson, it was big for another reason. And she did in the biggest way possible —- after Piqua made Lower Mote Park a home away from home.